Click on “Product” tab then enter all required fields. 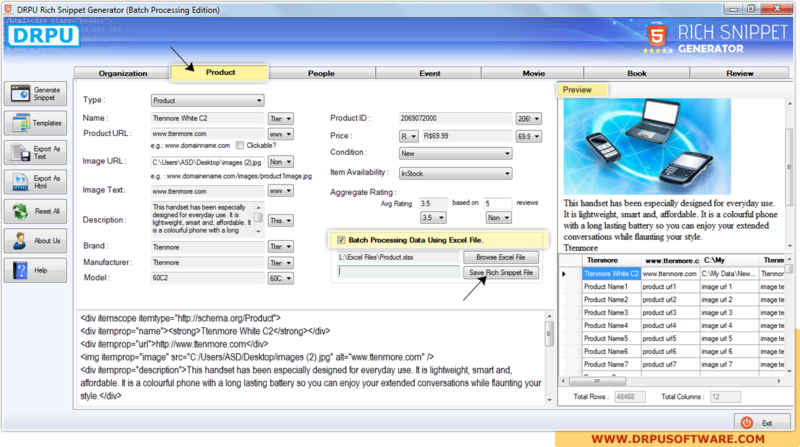 Enable “Batch Processing Data Using Excel File” then browse Excel file and preview of each product with all details will display at right side of screen. Click on “Save Rich Snippet Files” for next step. 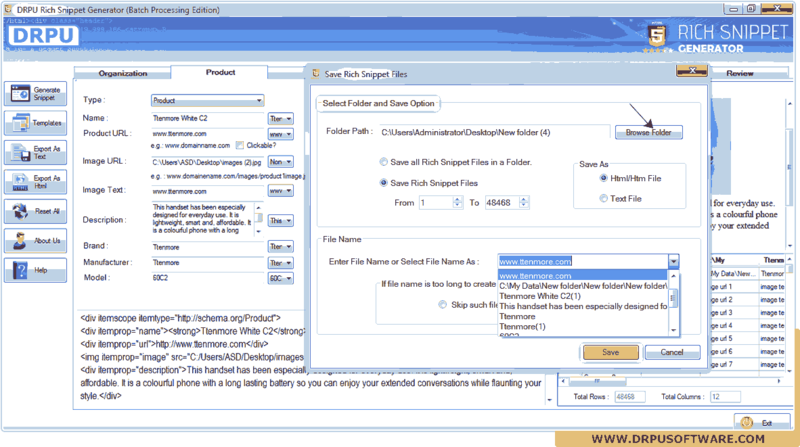 Click on “Browse Folder” to select the path then choose required option to save Rich Snippets Files.